Your first step when purchasing your next home should be to secure the services of a local real estate professional. 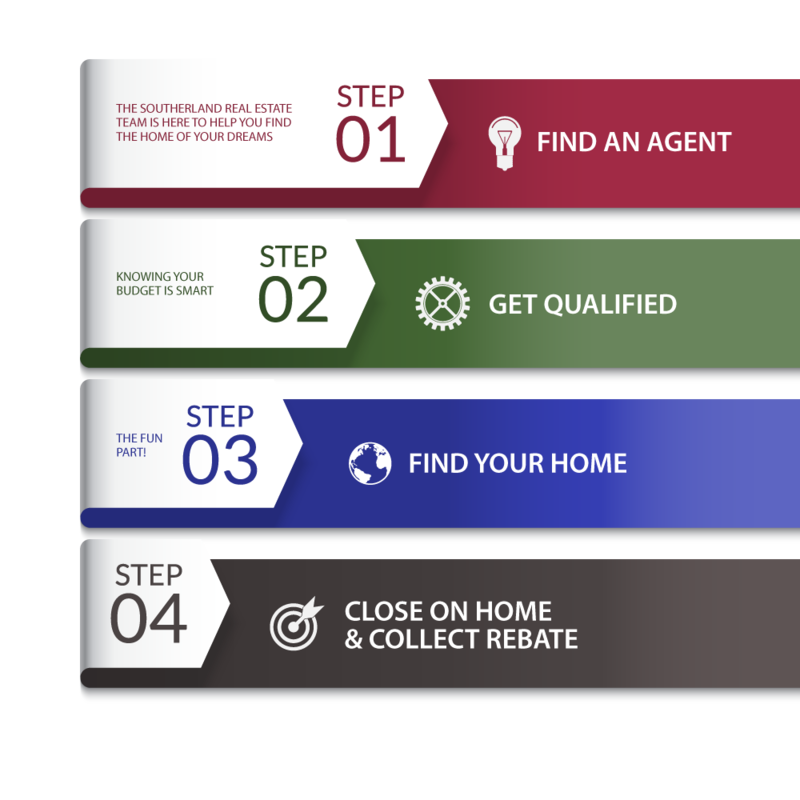 A well seasoned Agent guiding you through the home buying process will provide much needed information to make your journey more rewarding. At Southerland Real Estate we’ve taken this a step further by introducing our Buyer Commission Rebate program. Our Agents not only work at no cost to you, but they give a significant part of they’re commission back to you at closing. It’s they’re way of saying Thank You for your business!